Geraldine Louise Elliott was born on August 24, 1932, in the attic of a Kansas farmhouse, on a 107-degree day, and passed from this life on November 12, 2018, at 86 years young. She resided at English Village Manor in Altus, Oklahoma. Gerry Lou, as she was known to her family, spent her formative years in Enid, Oklahoma, in the care of her custodial grandparents, Ralph and Ora V. Hardy, She was saved at Falls Creek in about 1942 (her words) and rededicated her life and was baptised in 1993 at Calvary Chapel Inland, Jurupa Valley, California. Her faith was very important to her in her latter years. She passed as a proud member of Martha Road Baptist Church, and held Pastor Kevin Baker near and dear to her heart. She served at Enid First church as a teenager, participating in youth activities and helping her Grandma Hardy bake cakes for the ladies groups and luncheons. She was very PROUD of her Oklahoma heritage, her great-grandparents having participated in the Cherokee Strip Land Run, complete with a covered wagon, a duggie where they lived in the side of a hill, dirt and centipedes. Her great-Grandpa Boyles was a corn broom salesman, which left Grandma Boyles alone most of the time with her long gun and the indians. Gerry was fond of saying in her best Oklahoma twang, that "All of our family is made of stern stuff!!" She spent many summers with her Aunt Lou and Uncle Jim at their farm in Paola, Kansas... going to concerts at the city park, at the little bandstand, which still stands today. Uncle Jim was a farm veterinarian, and Gerry had many stories of going on calls with him. Gerry's mom, Marian Daum, was the free spirit of the family and bragged about running off with "The most handsome boy in a red roadster!!" when she was 15. Gerry Lou had no siblings and laughingly believed it was because of the farmhouse attic, 107 degree day ordeal! Gerry moved to Long Beach, California in the early 50's, where she finished out high school at Long Beach Polytechnic High School (GO JACKRABBITS!!) "Enter To Learn, Go Forth To Serve" Gerry was married twice with 4 children, Daniel A. Riley IV, Betty Ann Riley, Debra Riley, and KT Davies. She has 9 grandchildren, and several great-grandchildren. She is preceded in death by her two husbands, Daniel A. Riley Jr. and Thomas Davies, and one daughter, Betty Ann Neagle all of California. Gerry... who her children nicknamed "MothHairyLegs" in the late 70s was a blast to know. Her favorite bands were Van Halen, Boston, and Kansas, but she loved classical music as well. She said her life song was "Come Sail Away" by Styx and she would blast that going back and forth to work at the Navy Base... in her '66 Olds cutlass that her son souped up with a 4-barrel carb. She had a lead foot. Look out. 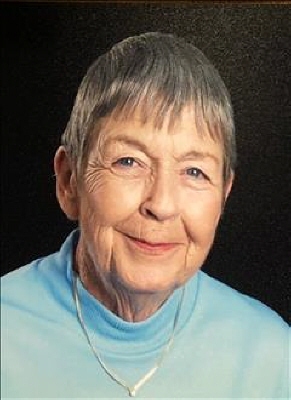 Gerry loved plants and took several courses at Long Beach City College in Plant Sciences and served as the manager of the Floral and Plant shop at the United States Naval installalation, in Long Beach, California. She had an excellent reputation there, and was well known for her ability to handle (cough-cough) high ranking officers, and one ornery admiral. She always said, "Dealing with that guy is a tricky business!" She finished out her career life doing coding and medical transcription, and running the medical records department at Rialto Family Clinic, in Rialto California. Gerry was tough, stubborn, and down to earth. She was detailed and had little use for, "Phlunkys" (her spelling) She always did the EXPERT crosswords in ink because, "Pencils are for amateurs!!" She fough many battles in her life and overcame many obstacles. She fought dementia for 10 years, with wisecracks and smiles, even when it stole her ability to put words together and simply tell time. She will be deeply missed. The family would like to extend the deepest, heartfelt gratitude to not only the administration and medical staff at English Village Manor, but also the kitchen and housekeeping staff. Everyone always loved on her. You guys treated her like one of your own. Your hard work and patience with our mom did not go unnoticed. And it is deeply appreciated. Thank you also to JCMH Hospice for attending her. A memorial service will be 2:00 P.M. Friday, November 16, 2018, at Martha Road Baptist Church with Pastor John Lingle officiating. To send flowers or a remembrance gift to the family of Geraldine Louise Davies, please visit our Tribute Store. "Email Address" would like to share the life celebration of Geraldine Louise Davies. Click on the "link" to go to share a favorite memory or leave a condolence message for the family.